This entry was posted in Ambers, Smoke or Spice, Fragrances, Perfume Review, Profumum Roma and tagged Ambra Aurea, Fiore d'Ambra perfume, Fiore d'Ambra Perfume Review, Fiore d'Ambra vs. Ambra Aurea, perfume review, Profumum, Profumum Fiore d'Ambra, Profumum Roma by Kafkaesque. Bookmark the permalink. I was thinking SO much of you while testing this, my dear! I know the Fiore one is your amber love. 🙂 I’m curious, how long does it last on your skin? I had expected something a little more in line with Ambra Aurea’s crazy longevity. I hope you get to try something in the line, Jordan. I just wish I could have found more international online retail vendors to make things easier for readers. (And to make the lure of temptation even harder to resist. lol) If you want a super rich and more unusual amber fragrance, I’d go with the Ambra Aurea since the focus on ambergris makes it very different than the usual sort of “ambers” found on the market today. I think this is the first time I’ve seen you so excited over an entire line of perfume. at the perfume workshop about citrus and exotic fruits I just came back from I tried Acqua Viva from Profumum Roma. Gosh, how exciting it was. It was a blast of citrus, just like it Annick Goutal Eau d’Hadrien, but the longevity was extravagant – 8 hours of citrus joy! I’m THRILLED you found one that you love and that you were deeply impressed by it! I tell you, the line is fabulous — and I’m sure there is one out there for everyone that will result in utter rhapsodies. The quality is simply amazing! The longevity is pretty great too! As for Acqua Viva, given how little time Eau d’Hadrien lasts, that wonderful that you found a more concentrated version that worked even better on your skin! I’m happy for that too, too bad I can’t afford it. Their prices are very frustrating, and I do wish they were cheaper. $120 for 50 ml would be much easier to manage than $240 for 100 ml. Perhaps you can arrange a split? That’s what I’m doing for Ambra Aurea. Oh, you’re buying Ambra Aurea, how cool, congrats! I can’t justify this price for a perfume that I would only wear half-year. I find citrus only appropriate for spring-summer, I feel weird wearing it in winter. Plus I’m having some expenses lately, the trip to Warsaw wasn’t cheap and I want to buy a great present for my Mum, she’s turning 50 in a few weeks. I’m not much into orientals and you know it well. Fougeres and chypre are for me but that’s not a rule. Not every fougere and chypre is for me 😦 And I love citrus, but I would wear it only in warm months. Dear Kafka, this could be unfounded but the brand name is actually very hard to spell and could be spelled many different ways, as your paragraph 2 provides variations used. I assumed you searched the blogo world under all these variations and did not find much. In any case, since I don’t typically hang out at niche perfume stores (how I wish I could! ), and despite my proximity to niche access, I would never have heard of this line were it not for you and this blog! So thank you for your public service. 🙂 although my wallet may curse you for making it exercise. I started with searches for Fiore d’Ambra between quotes. 🙂 I was surprised that there actually was more on this fragrance than on Ambra Aurea — which isn’t saying much at all! But, in terms of in-depth reviews by perfume blogs, there is surprisingly little out there. Mr. Hound reviewed both, but not in any great detail (since that’s not his style to begin with). And I saw nothing by the really established blogs. Even in perfume groups, I rarely hear mention of the line. Such a shame. But, as you can tell, I am now on a mission to talk about Profumum as much as bloody possible! LOL. Sounds positively glorious! I really like the brand’s bottles as well, for some reason! I loved this. I tested this on one wrist and Ambra Aurea on the other. Would be very happy (rather THRILLED) with both, but for me, it was Ambra Aurea that really stole my heart away. I feel like Fiore d’Ambra could be one of those that can become very, very addictive over time. I definitely agree that the Fiore one could be bloody addictive!! I think it’s an easier, softer, more versatile fragrance than the Ambra Aurea, which is much edgier and more unusual. Perhaps more of an acquired taste for those not used to the unique nature of ambergris. But, I’m with you in being blown away by it! And you’re very welcome for the introduction to the line, though my wallet is right up there with yours, shrieking in abject fear of what is to come. LOL. I agree: I hesitated to say that it was the more wearable of the two, but it really it. That’s not meant to be pejorative! It just turns into a very, very beautiful skin scent after a while. I loved both of your reviews for this line and as a fellow amber lover I must seek these out! I saw the line in Osswalds in NYC this past winter but, didn’t get a chance to even smell them on paper. Now I know what I need to do on my next visit to NYC! When will you be in NYC next? If not for a while, then when/if I get a decant of the Ambra Aurea, I send you some, along with a sample of the Fiore! I’m on a mission to spread the word, just like you are for Amouage. LOL. I had never heard of this line, but I´m sure I would adore this perfume. My first love with the oriental fragrances was Dolce and Gabbana The One, that is the one that made me realize I love floral oriental fragrances, and I can imagine that this would be a much deeper, richer and more nuanced scent definitely. I love that you found a perfume that could take the place of your loved discontinued fragrance (I know they still make Ysl Opium but it doesn´t smell like it did before) and that you can now find your signature scent again. I would love to at least smell this but seriously if there is some part where commercial fragrances defeat niche is the bottle design, could they look anymore boring? Lol 😛 . Oh no, nothing replaces Opium!! And this certainly doesn’t measure up to that! 😉 🙂 It’s a very different scent, for one thing. Like it’s sibling, Fiore d’Ambra is essentially an amber soliflore — a perfume centered primarily around one main note. 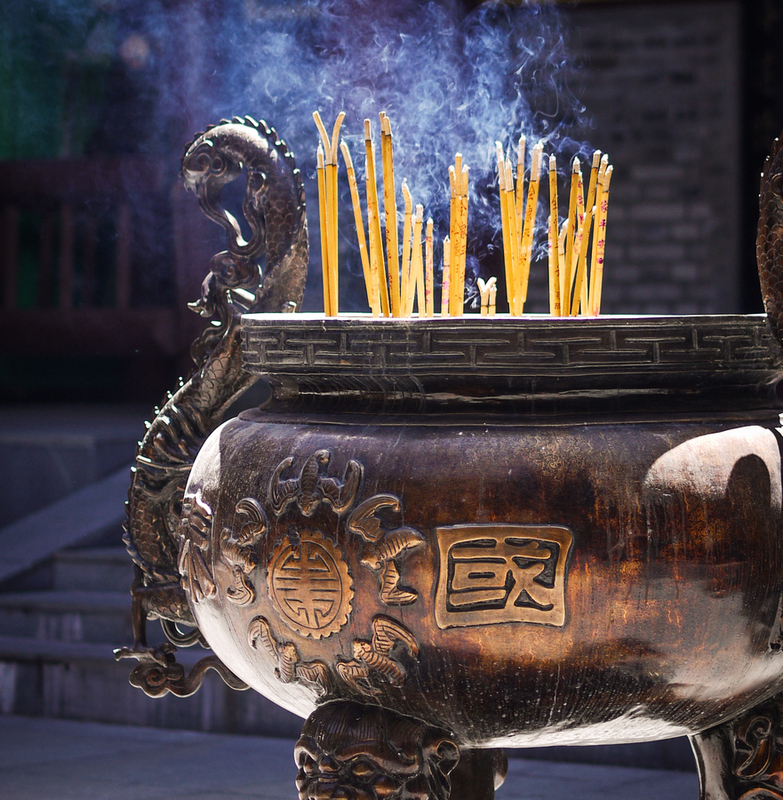 (Neither Opium nor The One are that. They have significantly more notes, are structured differently and are intended to be floral orientals.) 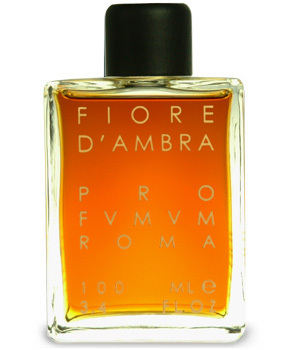 But, for a purely amber fragrance, Fiore d’Ambra is damn good!! I have a small sample of Fiore d’Ambra and tested it twice. Both times I didn’t like the opening but then really enjoyed how it developed on skin. I plan to test it more though at the price (and the bottle size! 🙂 ) most likely I won’t ever go for something I didn’t fall in love with at the first sniff. The opening is far too much like Opium for your tastes, my dear. Too much spice and smoke. But I’m glad you enjoyed how it developed down the road. Have you tried Ambra Aurea? Nope. This one hasn’t made it to me (probably it means that it was a better one of the two 😉 ). This fragrance is sweet and ought to be too sweet for me. But rather, its awesome! The floral note is beautiful, and provides nice counterpoint to the rich but sweet amber accord. Glad you enjoyed Fiore d’Ambra. Was Ambra Aurea too sweet for you? Haven’t tried it yet! Still waiting for my decant. But the odds are very high that I will like it. First, I LOVE Profumum scents. More, I haven’t found an amber yet that I truly disliked. All have some sweetness to them, but there are usually enough other things in the mix to keep me interested. Fiori d’Ambra is a case in point. One of the sweetest ambers I’ve ever tried, but I still like it–really like it, actually–because of the flowers in the mix. What were the flowers, anyway? Do you know? Thank you for reviewing the Profumums. Since reading your reviews, I have ‘found’ Arso, Olibanum, Santalum, and the Ambers. The Profumums, and Slumberhouse, have gotten me through a nasty winter. I never found out what the florals were. Profumum’s lists are always incomplete. I once contacted Profumum about something, but they don’t seem very interested in bloggers. lol So, I never bothered again to write to them, let alone about note lists. It will be VERY interesting to me to see if you find Ambra Aurea more sweet or less so than Fiore d’Ambra. That is an issue that is often discussed, but people don’t seem to agree. I think Fiore d’Ambre is much softer and slightly powdered than A/A, but does AA’s richness mean that it is actually sweeter? Hmm, I don’t know. It’s hard for me to decide. Richness and sweetness are not necessarily the same thing. Love both of them. I saw your review of Santalum, which is my favorite sandalwood dominant scent. Too synthetic as I recall? I never tried real mysore sandalwood oil, so I don’t have ‘the real thing’ to judge the modern stuff by. I’m plenty old enough to have tried it, had I been smart enough to do so back in the 60s and 70s, but didn’t start in with fragrance until after the mysore had become very scarce. Having said that, I still think the Santalum is great. Its right at the edge of my sweetness threshold, but with discrete application, I find it captivating. Also love Arso, Olibanum and Acqua Viva. I think Fumidus is really weird in its first hour, although I enjoy that aspect of it, and transitions to a nice smoky vet. I have a decant of Ichnusa to try, and am beating the bushes for samples of Aquae Nobile and Eccelso to try. Do you think Dolcis in Fundo would agree with me? Have been a bit fearful to try this one, and the other openly sweet-gourmandish creations from this house. 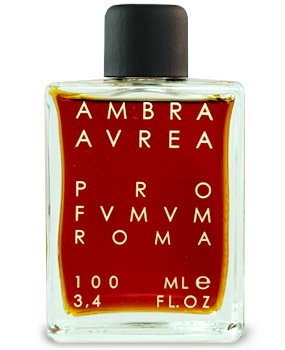 Re sandalwood, I understand that La Via Del Profumo has a nice EdT with real Mysore + perf. alcohol, and that LVdP’s Chillum has a nice real sandalwood in the mix. Have you tried them? I have not, but will. PS, I should search your review list, but have you reviewed Ambra Mediterrena by Profumi del Forte? Its a drop dead gorgeous Italian “amber” that allegedly features ambergris. No, I haven’t reviewed that one yet, and haven’t managed to get a sample, but a lot of people talk about it. I hear it’s as gorgeous as you say!